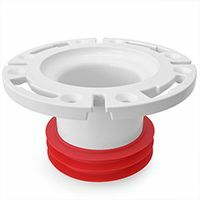 Drains, tubular piping, water & gas connectors, outlet & access products, toilet repair parts and many others for kitchen, bathroom and shower applications. For an additional list of plumbing supplies, see our general plumbing supplies category. 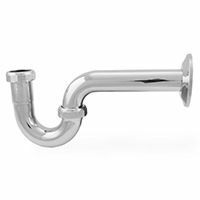 Closet flanges, shower drains, kitchen strainers, bathroom and lavatory drains and tub waste kits in various sizes and finishes. 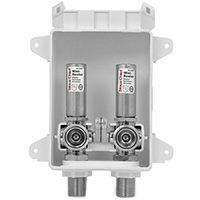 Ox Box series outlet boxes by Sioux Chief for washing machines, lavatories, dishwashers and other plumbing fixtures. 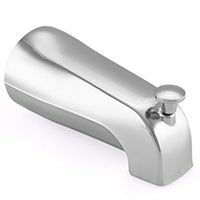 Slip-on and threaded tub spouts with or without diverter in nose and base connection types and variety of finishes. 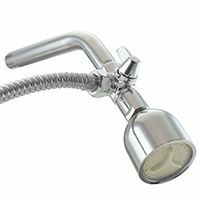 Accessories, flow diverter/regulator valves and parts for wall-mounted and handheld shower types in various finishes. 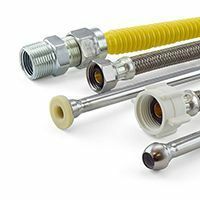 Water heater connectors, gas connectors, risers and flexible connectors for faucets, toilets, dishwashers, etc. 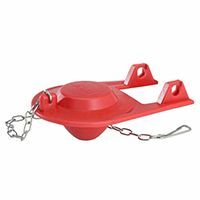 Brass and plastic tubular P-traps, waste bends, tailpieces, dual sink drains, washers, slip nuts and accessories. High-quality replacement flappers, flush valves, fill valves, gaskets and other toilet repair parts from Korky.